Ascendix Search Release Update 17 is now available! We are ready for Salesforce Summer’18 release and have improved mass email functionality to let you send mass emails even easier from your Salesforce. Send emails to selected records, saved lists or all records that match your search criteria. All is done in a few clicks! 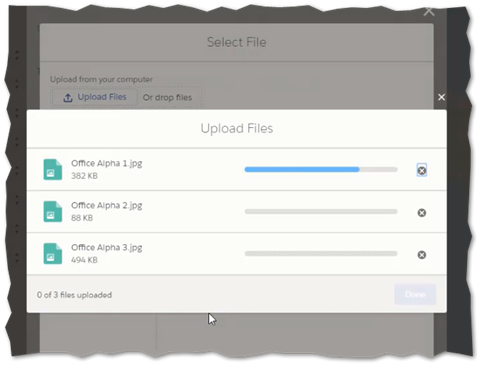 Let’s review how to send mass emails from your Salesforce using Ascendix Search. 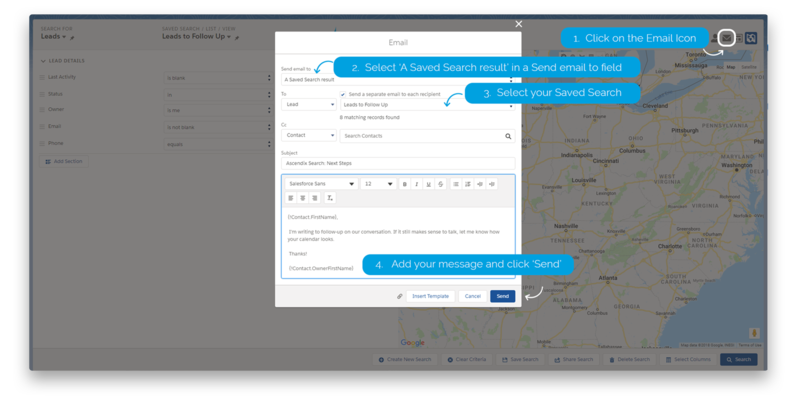 With the new release, you can send mass emails to your Salesforce contacts, leads, inquiries or any other custom objects with email fields using Ascendix Search. Click on the Email icon at the top right corner of the Ascendix Search. The Email popup will appear. Select the list you want to mass email in the Send email to field. Select the name of the list if you chose to mass email to a saved search/System view or Ad-Hoc list. Type your message or Insert a Template. Insert attachment if you need. Hit the Send button! There are plenty of cases when you want to send a custom email to the selected people. Let’s imagine, you have three baseball tickets to the next Texas Rangers game, and you know that some of your contacts love baseball (that’s why you added them to the Ad-Hoc list ‘Baseball Fans’ to be able to find them quickly). We want to see all baseball fans. We added them to the Ad-Hoc List ‘Baseball Fans’. Click +Add Search Criteria to add the field Ad-Hoc List and then select Baseball Fans from the list. Click Search button at the bottom left corner. In our case, we have two people matching our criteria so no need to select. In other cases, you can pick certain records and send an email to them. Select all and click the Email icon at the top right corner. In the Email popup, type your email and click the Send button. 3. Our email was sent and added to the activities of each email recipient in the list. To check this, click on the contact and navigate to Activity Timeline. That’s it for today. We are working on some great features so stay tuned!